Chick Lit Central: How Teresa Medeiros celebrates the winter holidays...plus a book giveaway! How Teresa Medeiros celebrates the winter holidays...plus a book giveaway! Teresa Medeiros is a New York Times bestseller who wrote her first novel at the age of twenty-one, introducing readers to one of the most beloved and versatile voices in romantic fiction. Her novels have appeared on every national bestseller list and she currently has over seven million books in print and is published in over seventeen languages. 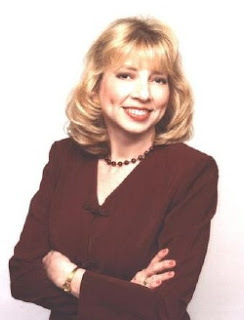 She is a charter member of the Romance Writers of America Honor Roll, Kentucky Romance Writers, and Novelists, Inc. She was chosen as one of the "Top Ten Favorite Romance Authors" by Affaire de Coeur magazine and won the Romantic Times Reviewer's Choice Award for "Best Historical Love and Laughter". She lives in Kentucky with her husband and her cats Willow and Buffy the Mouse Slayer. Her 20th novel (and also most recent NY Times bestseller), THE DEVIL WEARS PLAID, was released in August 2010. 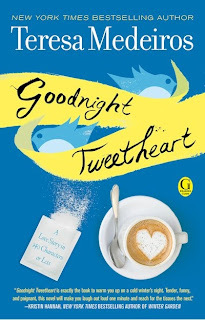 GOODNIGHT TWEETHEART (Gallery Books, January 2011, reviewed here) is her first contemporary women's fiction novel, about a man and woman who meet and fall in love on Twitter. You can visit Teresa's website, join her on Facebook and, of course, follow her on Twitter! @ChickLitCentral: Tell us, Teresa, what is your favorite winter holiday tradition? @ChickLitCentral: So how do we get on that list? @TeresaMedeiros: Well, I still have a couple of cousins who are unmarried. @ChickLitCentral: Besides raw cookie dough, what is your favorite holiday food? @TeresaMedeiros: I love to put Harry Connick, Jr. on the stereo and watch the Christmas tree lights while sipping egg nog. And I even like the unspiked kind! @ChickLitCentral: The perfect segue into music! What is your favorite winter holiday song? @TeresaMedeiros: Anything by the Trans-Siberian Orchestra! There's nothing sexier than long-haired guys in tuxes playing Christmas carols on electric guitars. @ChickLitCentral: When you're not rocking out with TSO, what's your favorite holiday movie? @TeresaMedeiros: Does GREMLINS count? DIE HARD? Maybe LETHAL WEAPON? @ChickLitCentral: I was thinking about something with a lower body count. @TeresaMedeiros: Then I'd have to go with A CHRISTMAS CAROL, either the Alistair Sims OR George C. Scott version and of course, A CHRISTMAS STORY. @ChickLitCentral: Hmmm…I've heard rumors there's a bunny suit in GOODNIGHT TWEETHEART. Were you inspired by Ralphie's pajamas? @TeresaMedeiros: What can I say? I WAS Ralphie as a kid. I lived almost exclusively in my imagination. @ChickLitCentral: So what is your favorite winter holiday memory? @TeresaMedeiros: Getting a really cool present in a large box as a kid and spending the rest of the day playing with the box. My dad made me a car out of it! @ChickLitCentral: Would you like to share your favorite winter holiday gift? @TeresaMedeiros: My husband surprised me one year with a beautiful antique mantel clock circa 1913. He drove over 100 miles to find it. @ChickLitCentral: And what's the favorite winter holiday gift you've ever given? @TeresaMedeiros: Based on how much use he's gotten out of it, I'd have to say I'm glad I surprised hubby with an iPod one Christmas. @ChickLitCentral: Aside from eating raw cookie dough, what's the thing you're most looking forward to during the winter holidays this year? 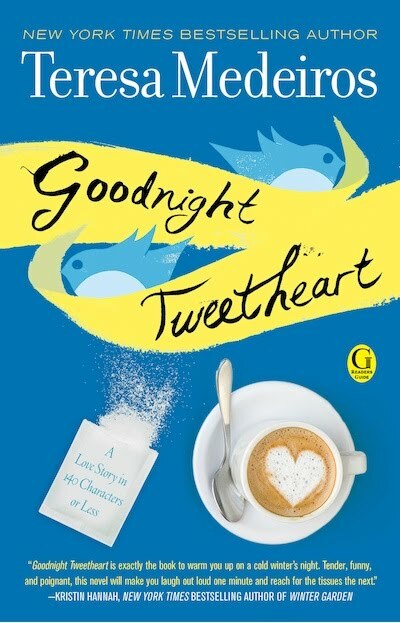 @TeresaMedeiros: I'm really looking forward to the release of GOODNIGHT TWEETHEART. I've never had a book come out at Christmas before. @TeresaMedeiros: Snow! And time to read! @ChickLitCentral: And what do you wish there would be less of during winter holidays? Thanks to Teresa for "tweeting" with us and for offering the books to give away! 1. Please tell us: What is your favorite winter holiday tradition? 2. Please tell us: What is the most memorable experience you've had with someone you met on Facebook or Twitter? US/Canada only. Giveaway ends Friday, December 17th @ 8 am EST. 1-favorite holiday tradition is that I do a version of the 12 Days of Christmas for my daughter.Starting Dec.13th,I hide a little gift around the house and she has to find it.She loves this.2-I connected with an uncle I never knew about on FB.Am following on Twitter.Joined FB page &posted there. My favorite winter holiday tradition is the music! I make a new mix each year of favorite holiday songs I've found, and I share it with my friends instead of Christmas cards. The most memorable experience you've had with someone you met on Facebook or Twitter was with someone I would have met eventually in real life through work. Being friends on Facebook has made our work & volunteering together so much easier and more rewarding! I'm looking forward to reading this blog now that I'm a follower on Twitter and Facebook! I'll be posting about this contest on my facebook http://www.facebook.com/home.php?sk=lf#!/redwink. I'd love to win this contest! My e-mail is kccredwine AT aol DOT com. 1) Watching Christmas movies with my Sweetie. 2) I don't really have one. I was at a local reader's conference tweeting with @TinaGerow (who was in the next room). She tweeted me a wonderful drink recipe, and I met her in the lobby by the bar to drink it. Talk about instant gratification! thekeristevens AT gmail DOT com! 1. My Favorite Holiday Tradition is our Family Christmas Eve Dinner. It used to be at my Gram's house until she and Grapms passed...now I've taken up the dinner at my house. My Father-in-law dresses up and delivers presents to the kids. Nothing like a visit from St. Nick himself to keep the faith alive. 2. I have met some wonderful people thru a fave author's website, but really not thru facebook or twitter. But Facebook and Twitter are a great way to keep up with friends I have...and finding a good friend from HS that I had lost track of. We met in NYC over the summer and spent a great day catching up on 20 years! 4. Linked the contest on Facebook (I really don't use Twitter that much). 1. Please tell us: What is your favorite winter holiday tradition? In my family first thing christmas morning you go to your stocking and untie the end of yarn. You follow aka gather up your yarn into a ball as it was unraveled all over the house. It ended in a hidden place where the biggest or most expensive gift that year was hidden. 2. Please tell us: What is the most memorable experience you've had with someone you met on Facebook or Twitter? A friend of mine being very insulting and hurtful when I vented about a personal issue. Never thought she would be that kind of person. It really hurt my feelings. 3. Follow this blog and post a comment saying you are a follower (if you already follow, that's fine too). I am a follower now. Yay!!! 4. 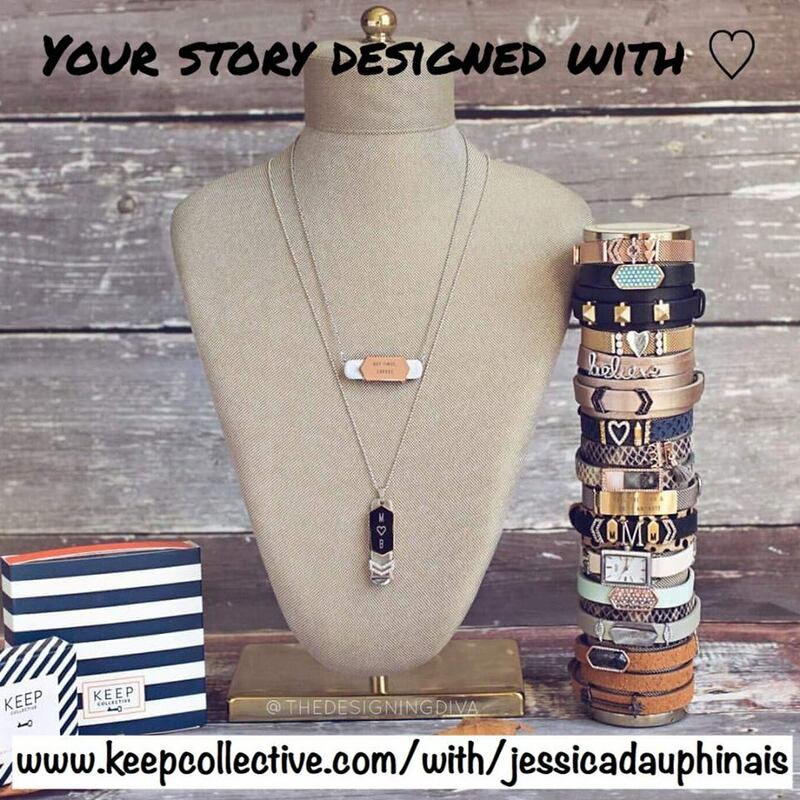 Post this contest on Facebook or Twitter or in your blog, and leave a comment saying where you've posted it. Will do! 5. Join Chick Lit Central on Facebook. (If you're already a member, let us know that too.) Done and done. My husband and I visit our son, his wife and four grandchildren in NC every year for Christmas. I always make cutout cookies with the children using their great-grandmother's cookie cutters including some that their great-grandfather made by hand. The laughter, warmth and loving happiness is all anyone could wish for. Merry Christmas to you! I love Teresa Medeiros' books! Always a great read!! Our Christmas tradition is to decorate the house, tree and all the day after Thanksgiving. Movies and Chinese food on christmas day! I don't share anything personal so I don't have any memorable experiences over the internet. I have seen this book everywhere. I cannot wait to read it. Teresa Medeiros is my favorite author. I have every book she has written (most in hardback). I can't wait to unwrap her newest book 'Goodnight Tweetheart' on Christmas day. My favorite part of winter is the Christmas season, the songs, lights, decorations, the festive shopping, food, family, celebrating the birth of our Lord Jesus Christ. -Actually, it was with Teresa!! I was new to blogging (and twitter) and I wrote a review on TM's 'Some Like It Wild' (which was my first read by her and I adore it), and she actually RT'd the link I posted on twitter and responded when I thanked her! I was so shocked that little ole me got an RT, and from a best-selling author no-less. 5. Joined Chick Lit Central on Facebook. IDK if I answered the experience on twitter question right. 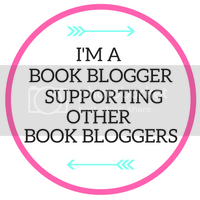 I've never 'MET' anyone like in real life, but I've gotten to discover tons of new authors and stay connected with my favs! Well, my favorite winter holiday tradition is just relaxing Christmas morning with my parents. Nothing much to it. As for most memorable ton Facebook, it's actually getting to know the friend of a friend that is always talked about. And I posted on twitter and facebook, and started following you here and on facebook! Hmmmm...I have so many favourite Christmas traditions, but one would be hanging out with my husband and some yummy snacks on Christmas Eve once the kids are in bed, and another would be visiting our town's park of lights, which people from all over come to see. I visited as a kid, and now I live here! I don't think that I've done anything super "memorable" on Twitter or Facebook, but I do love the opportunity to connect with my favourite authors online. It certainly works as a marketing thing- I'm far more likely to buy their latest book! Every year I go back to NY, and we used attend the Winter Solstice concert at St. John the Divine. Paul Winter (appropriately named!) and a number of musicians and dancers from all over the world would perform, and through music would enact the longest night followed by the rising of the sun (in the form of an enormous "sun gong" in the back of the cathedral). We'd exit the drafty cathedral damp-eyed, and every year my mother and I would look at each other and confess that *that* was what Christmas was all about. Unfortunately, we've stopped going in recent years (I usually can't get home in time because of my work). But we still embrace the Solstice as part of our traditions and celebrations. I am a GFC friend! 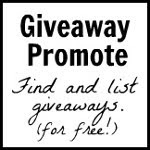 I've posted your contest on my sidebar at http://book-chic.blogspot.com. 1. As a child, my favorite holiday tradition was to put up and decorate the Christmas tree on Christmas Eve and leave it up for the 12 days of Christmas. 3. I'm now following this blog as sweetbrier. 5. 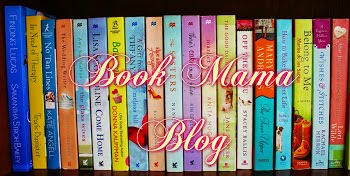 I have now joined Chick Lit Central on facebook. 1 - Favorite holiday traditions would be decorating, baking and the children opening one gift on Christmas Eve. 2 - Facebook, hmmm.... There was some guy who friended me and then wanted to have, err, 'naughty' discussions on FB chat. He got UNfriended pretty quickly. 3, 4, etc. - I joined your FB page! Enjoyed the interview. Very cute! And I'm really looking forward to Teresa's new book. 1. My favorite holiday tradition is just to have my family around for Christmas - and cooking sweets!2. Best Facebook experience is remeeting friends from junior high!3. 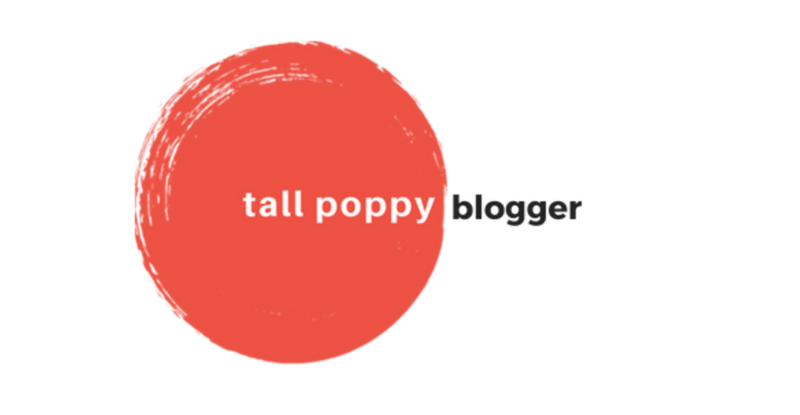 I'm now following this blog as Roseumbrella. My blog is Roseumbrella.blogspot.com. 7. I have wanted to read this book since the I heard about the last book giveaway! 1. We always open one gift on Christmas Eve, then, on Christmas morning we check out our stockings first while my mom would put together her blueberry coffee cake from scratch. 2. I've enjoyed re-connecting with old school friends on FB and making new friends. 3. I follow your blog, I am already a fan of your FB page and I follow you on Twitter. 4. I'm a big fan of Theresa and follow her on Twitter and FB! My fave holiday tradition is making Christmas candies. I used to make them with my Aunt when I was a girl and now I share the tradition with my son. I'm totally with Teresa on wishing away the fat deposits though. Cannot wait! By the snippet released I know I'm in for interesting characters, snappy dialog, and a great read. Turned on my kindle at midnight last night! Wrong day! My most memorable experience on Facebook is making a new friend. It's amazing to me that two people can meet across miles and from different places in life to find so many interests in common. Melissa you know who you are. Lovely post! 1. My favorite tradition is my MIL Christmas day buffet! Such yummy food especially the ministroni soup from our favorite restaurant! 2. 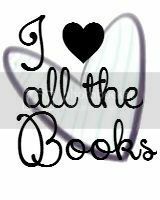 I have met some amazing woman on FB who share my love of romance books! My favorite holiday tradition is going to get our Christmas tree right after Thanksgiving! We always have to find the fattest tree. I also love TSO! It has to be playing while we decorate the tree! Love watching all the holiday movies on TV with a cup of something hot. Great interview! I am really looking forward to reading this book! My favorite winter holiday tradition is baking cookies with my kids and then making homemade ornaments for the tree. I love seeing what fun things they think of. Then we give some ornaments away with Christmas gifts. My favorite holiday tradition is pajamas on Christmas Eve. My kids look forward to it every year, probably with more enthusiasm than Christmas morning. My daughter has been bugging me for over a week now about her Christmas PJ's :) That, and going through the handmade ornaments and hearing "Oh, I remember when I made that in preschool!" 3. I’m a follower of your blog! 4. I’ll definitely post this contest on my personal blog, hopefully tonight. 5. 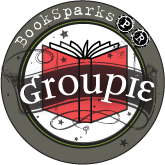 I’m also a member of Chick Lit Central on Facebook. I have a copy in my hot little hands right now, I just posted this on win a book. This looks like an interesting book to read! A favorite tradition is having the "giant pancake" for breakfast on Christmas morning! My most memorable moment with facebook is just being able to connect with old friends and making so many new ones! My favorite winter holiday tradition is pulling out all my Christmas music and playing it over and over til I drive my husband crazy! Ha! I met someone on Facebook through a website who has become like a sister to me and we are very close. Since I have always wanted a sister and am an only child, Facebook has been a gift to me in that aspect. My favorite winter holiday tradition is trying out new recipes! I won a $10 gift certificate on Facebook to an Etsy shop and the owner Jaime Tucker is so patient in assisting me to get the items I want. I was trying to get a mix of supplies to make earrings. Another Book that I can't wait to read! I think my favorite tradition is either the baking and candy making or watching The Polar Express with my kids on Christmas Eve Night. Actually one of nicest things was meeting Melissa A. since it is so nice to have booky friends to bounce thoughts of off. OR becoming "friends" with Melissa Senate. And winning a signed book from her. AND having her comment on my lowly FB posts. Yeah. That made my month. I found an old neighbor on Facebook. I enjoy keeping in contact with friends from school on fb. My favorite holiday tradition is definitely getting together with my family on Christmas Eve. We all go to mass together, then head to my grandmother's for a feast! And since my sister and I were little, we've been permitted to open one Christmas present apiece that evening. So fun! I've had a lot of fun with folks I've met through my blog and Twitter, but the most memorable is probably attending the Book Blogger Convention in New York City last May. It was so fun putting names to avatars, and it was all like we'd known each other forever... because we practically have! Favorite holiday tradition is having all of my family come home! I had my sisters old boyfriend find me on facebook & then block me because I wouldn't tell him where she was...she's happily married with children for god's sake! My favorite holiday tradition is taking videos of the kids on New Years to show how much they;ve grown and changed in a year. I never met anyone through facebook or twitter. I am a facebook fan of CLC.